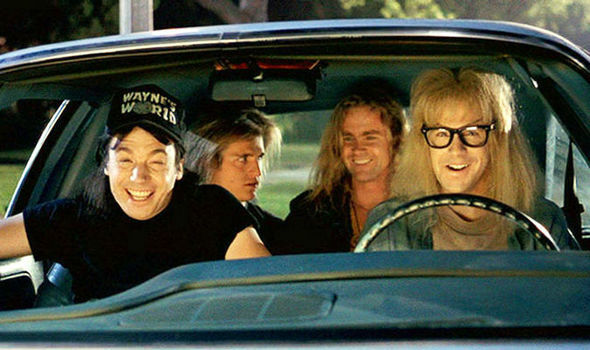 Dave along with Ian hit the road to Davos this month. Read more about their insights from this amazing gathering in the updates below. 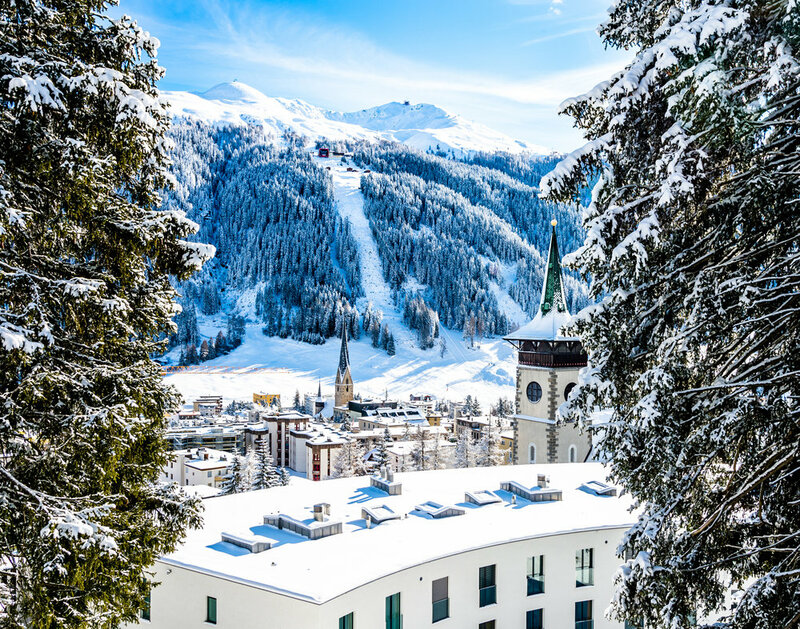 While there is a glamorous side of global leaders, the key to a great Davos experience is to dig in with the latest thinking on technologies and innovation. 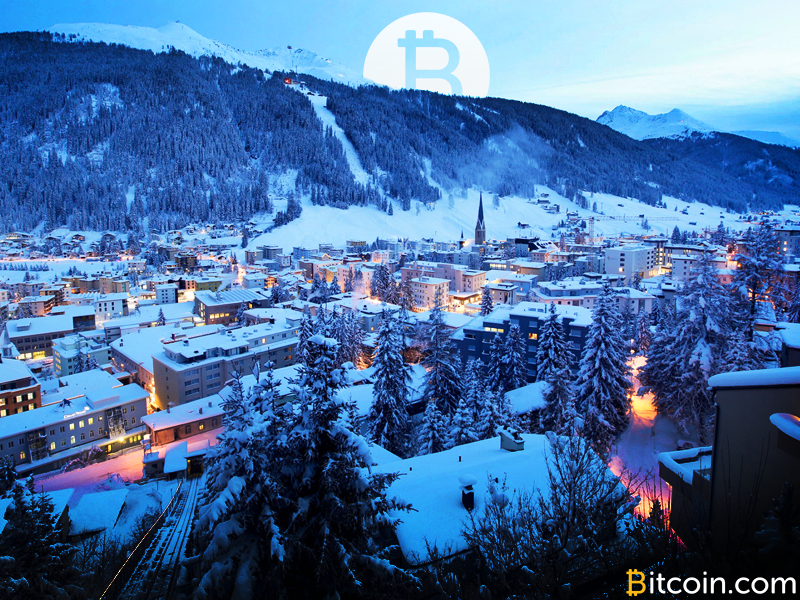 This year, I had the opportunity to attend the World Economic Forum (WEF) at Davos. Founded in 1971 as a not-for-profit foundation, the WEF recognizes that the world is changing at an ever increasing pace. The forum brings together leaders from across many spectrums of society: politics, business, academia, NGOs, and the arts, who travel from all parts of the globe to discuss the biggest challenges facing the world. The topics of this year’s conference ranged from Big Data, Blockchain Technologies, Artificial Intelligence to Social Inclusion and Equal Opportunity. Invited by John Werner of our Advisory Board, Vestigo was given the unique opportunity to participate and present. Our General Partner David Blundin, Vestigo advisor and Cogo Labs CEO Mira Wilczek, and FRST (a Vestigo Portfolio Company) CEO Karl Muth each presented. 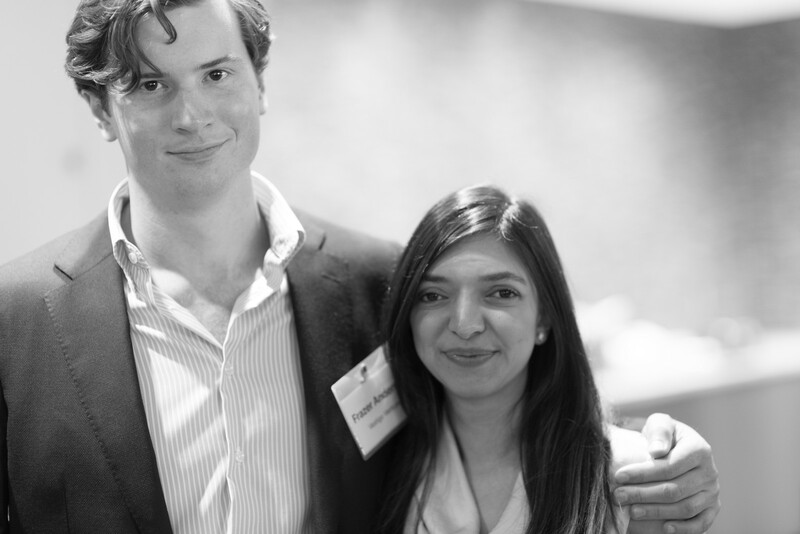 Mira and Dave shared thought provoking perspectives on Big Data. Karl Muth articulated the evolution of the Crypto marketplace while demonstrating the visualization power of the FRST platform. David’s presentation described his journey as an entrepreneur and his ability to link the power and ubiquity of Big Data. He conveyed to the audience how the simultaneous evolution of software, processing power, growing data sets, and Blockchain Technologies will enable entrepreneurs to quickly move their companies and careers forward. Mira was able to set the stage for Big Data in a trustless world and the important role that Blockchain Technologies will play. It was a thought provoking talk as Mira shared the IDC estimate that the average human on earth will generate 1.7MB of digital data every minute, while comparing the “wet” data (eyes, and ears) generated by the humans in the room at Davos. She discussed the challenges of data ownership, transparency, replication, and security, affirming the role of Blockchain Technologies. Karl took us on a journey through the crypto world from the revolutionist to the professional. 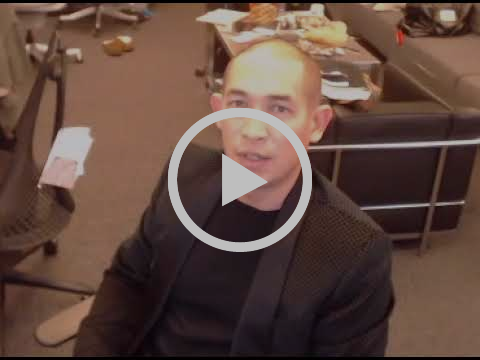 He described why FRST was created and demonstrated the power of their trading tools. The audience was amazed by the magnitude of the visualization tools and the edge that the platform provides for professional organizations trading crypto currencies. Karl outlined the path that we are moving along: from the crypto winter to the professionalization of the marketplace. At Vestigo, we leverage Big Data and machine learning every day to find great FinTech companies. The collective “wow” moment from these talks, was the tangible absorption of the transformative power of Big data by the Davos audience. The results of the talks where immediate. Dave was quickly whisked away by the executive leadership from TATA, Forbes and many others. Mira was recruited to a leadership panel with the CIO of the US Government, Karl was interviewed on TV. I was engaged in the debriefs discussing Vestigo and our unique portfolio of financial services solutions with leaders from the world’s largest financial intuitions. There were many wonderful random collisions of ideas and meet-ups with people from all sectors of society. I met a physicist who is developing the next generation of quantum computers. Over lunch he was able to explain how quantum computers work and for a moment I think I understood him. We attended an incredible variety of events including, the day at the TATA/MIT TCS Dome, CSAIL Artificial Intelligence group discussion, The TCS Global Reception, NYTimes Debate, Aberdeen Investments scotch tasting party, the Harvard networking event, the Global Blockchain Business Council dinner, the evening with Forbes executives, and had the opportunity to meet many thought leaders like Steve Forbes and David Rubenstein, the co-founder and co-executive chairman of The Carlyle Group, Tim Berners-Lee (inventor of the Web) and Amy Cuddy Ph.D. (most viral Ted Talk) and so many more amazing people. We made many new connections and look forward to future engagement and visits to Cambridge. These are seeds that may well translate into good business, time and effort will tell. I want to thank John and our General Partners, Dave and Mark who created a unique opportunity for Vestigo along with Karl from FRST. We are looking forward to being invited back next year and we hope to include one or two of our leading portfolio companies. The trip was a huge success. Being part of the collaboration of ideas through intellectual exchanges and having exposure to people willing to challenge the status quo was a whirlwind of fun! 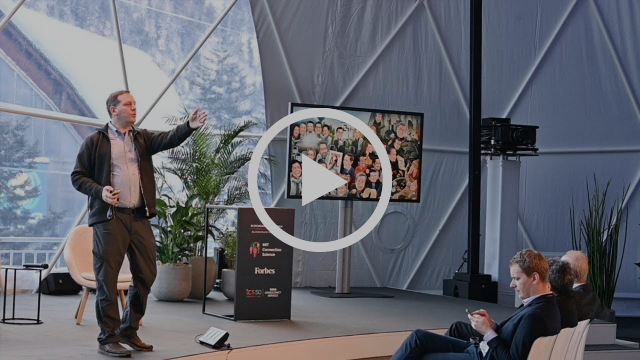 In a wonderful article by Vestigo advisory board member John Werner and long-time collaborator Sandy Pentland (#geniusvisionary) we hear about the minds that truly shone in Davos this year. Our second investment that resulted from identification of potential viral companies in our Cogo Labs data is now complete. 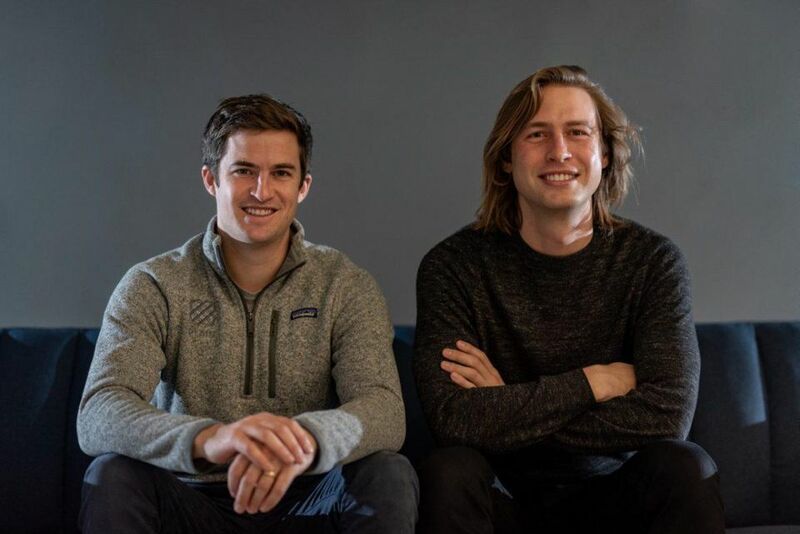 Cushion joins our portfolio companies as a personal finance application that automates stressful, complex and tedious actions to reclaim or save money for their customers. They are targeting bank fees which total over $200B annually on consumers. They negotiate via an automated process with the banks to get these fees reduced or eliminated. They have saved customers hundreds of thousands of dollars while in Beta. Paul Kesserwani is the founder and CEO along with Ivan Balepin as CTO and Lauralynn Stubler, in charge of growth and retention, run the firm. It is a lean team that has built an impressive technology on a shoestring. We applaud their lean style of management. We met Tommy Nicholas, founder of Alloy, in our search for a technology first approach to the insufficiencies in today’s AML/KYC solutions. We were immediately impressed with their approach to on-boarding new clients for banks and FinTech startups. This is critical in their role to provide proper KYC and AML compliance systems as well as to protect themselves from fraud. 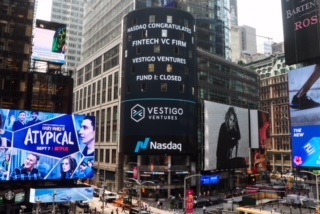 InsureTech remains one of our primary areas of focus at Vestigo. We see almost limitless possibilities for improving outcomes and delighting customers when incumbents and FinTechs can find ways to effectively collaborate. Consumers are already enjoying the early innings of this trend. In a fascinating interview from the WEF at Davos, a panel of experts discuss how the use of distributed ledger systems can address the challenges of small businesses who remain separated from digital networks. While “crypto winter” has undoubtedly come, Vestigo could not be better positioned to help our founders create value in this seemingly harsh climate. We remain encouraged by both the promise of blockchain technologies and the continued, steady flow of “smart money” into the space. Every bull market is the parent of a bear market and vice-versa. 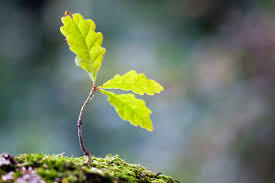 We are well positioned to act when green shoots begin to push through the snow. Fintechs are getting a large infusion of venture capital. In 2018, U.S. fintechs raised almost $12 billion from VC firms, a surge of 120% from 2017. Leading the trend are a handful of startups that have managed to attract millions. Copyright ©2019 Vestigo Ventures, All rights reserved. We love a new year. It’s so full of hopes and plans and excitement to get started. It is truly the most wonderful time of the year. Last year was quite good with the close of Fund I and the growth of our portfolio to 12 companies. 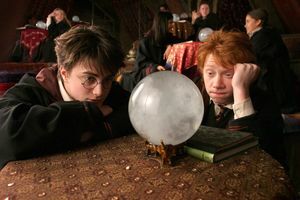 What will 2019 bring? We would like to continue to find and fund great companies who will bring positive change to financial services. Our XPLR search process using the Cogo Labs data continues to provide companies to research and pursue. We plan to dig in further to find possible investments. We see continued deal flow from fellow venture firms. Sourcing from our broader network is yielding good insight and investments. Our plan is to remain focused on getting capital into companies in their seed round. Follow on investments picked up in the fourth quarter so we look forward to many more in 2019. We have been pleased with the thoughtful structures and valuations in these thus far. Finally, we have big plans to move just a 100 yards from our present office but into space to allow for expansion. 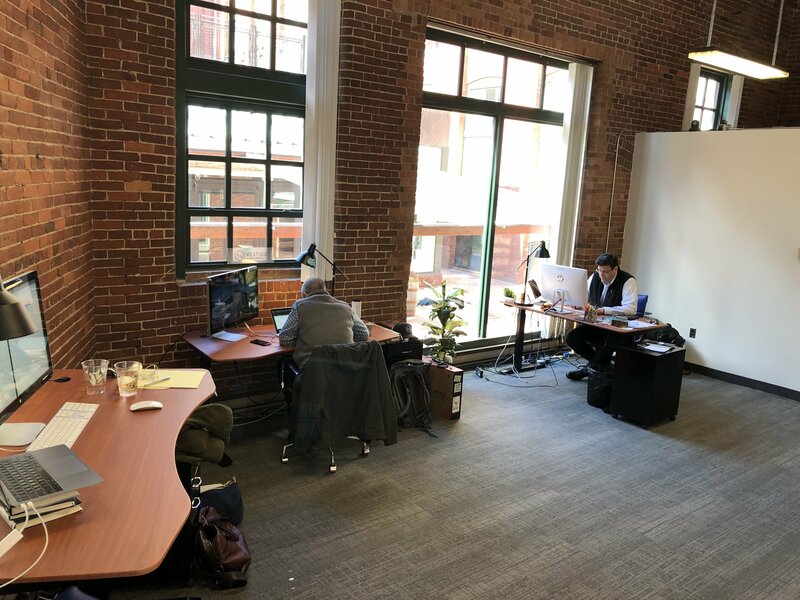 All of us have enjoyed our closeness in the current space-but any added interns or growth in staff for our next Fund and we are out of space. We hope you have an amazing 2019. What does a recession really mean for a VC? Downturn, what downturn? We don’t see a slowdown in the core business premise of our portfolio companies nor in the incumbents willingness to work with them…….yet. 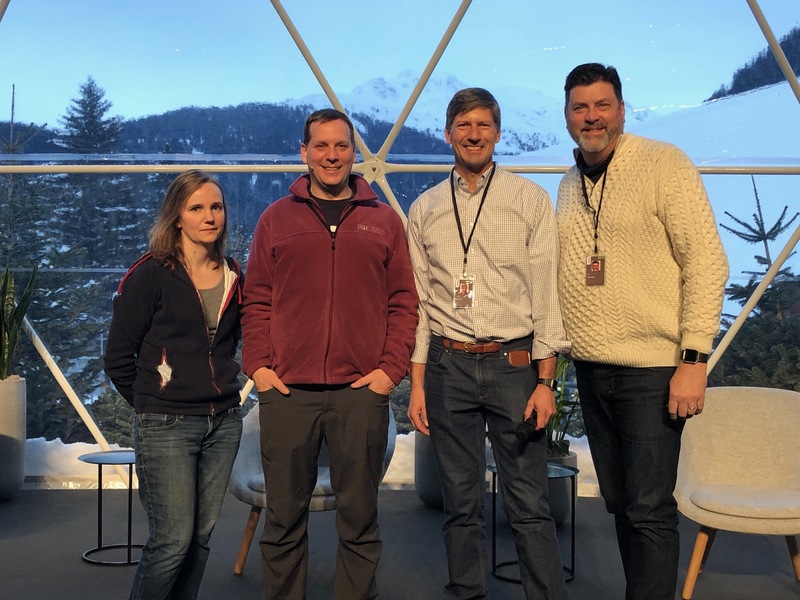 We are pleased to report that Vestigo Advisory Board members Mira Wilczek and John Werner, Vestigo GP Dave Blundin, Vestigo Founder Ian Sheridan and Vestigo portfolio company FRST CEO Karl Muth will be attending the World Economic Forum at Davos this year. We look forward to giving you the details on all the action from Switzerland in next month’s issue. With Long Game cracking 90,000 savings accounts this month, it’s no wonder that our favorite mobile “game” is running up a high score! Forbes contributer Jennifer Cohen noted it as one of her top apps for success in 2019. 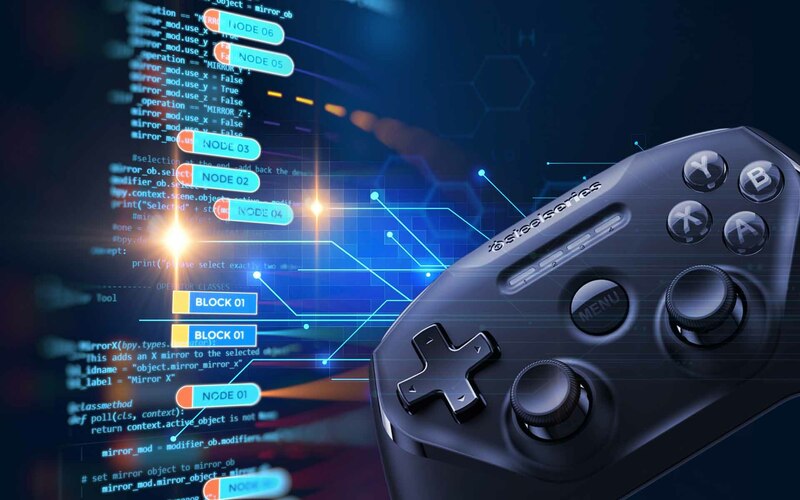 Vestigo is also confident in the success of Long Game’s users and the company itself in 2019. Vestigo Portfolio Company ZenLedger enjoyed a big pop in revenue on the back of their successful “tax loss” harvesting campaign. Vestigo’s approach to crypto has been to find opportunities with low correlation to token/cryptocurrency prices. While many people in the crypto ecosystem are suffering these days, the idiom “Death and Taxes” is proving out. 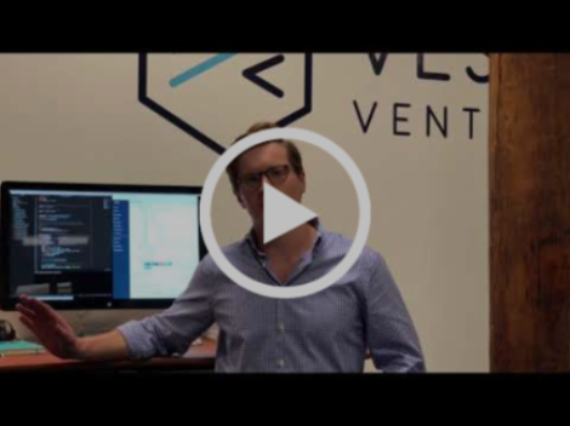 We started Vestigo with the premise that while the amount of capital in the venture eco-system as a whole was enormous, early-stage (and in our case FinTech) was being overlooked. It’s gratifying to see our intuition confirmed by this new report from PWC and CB Insights. Nearly all consumer facing FinTech startups (including some of our own) have deep integrations with both Plaid, the FinTech startup that enables developers to create financial services applications and Quovo, a startup that aggregates investment data. This is massive news for our industry. This short article touches on most of the things we talk, think and write about at Vestigo every day. Understanding the relative importance of the overall industry trends when analyzing a particular investment opportunity is one of the exciting challenges of the job! 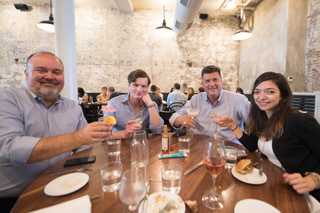 We always like to take time as a firm to think about trends that will evolve in the next year. For 2019 we make the following five observations. AI Acceleration – We have seen AI in a number of areas for growing bank revenues. We will see more AI applications for other parts of the financial services industry. The tools here will also reduce costs. However, financial institutions will need to audit AI results to be sure an unintended bias does not appear. Crypto Continues – Trading activities and support by institutions will continue to grow. While we are not predicting upward price moment, we are seeing evidence that more and more mainstream investors are attracted by digital asset trading. Big Iron Workarounds – The financial services industry has an ancient infrastructure that is unlikely to be replaced any time soon. More startups will work to create smart workarounds for helping the incumbents move faster at lower cost to support their clients. Employment Evolves – We will see more workers with multiple income sources resulting in employee benefit providers beginning to evolve to tap this opportunity with new product and service offers. 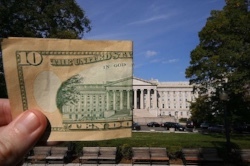 These gigs can offer a way to climb the financial ladder or create a lifestyle choice. The war for technology savvy talent puts pressure on growth – Traditional education makes room for shorter duration certifications in software, engineering and data science. The drive for apprenticeships emerge in technology fields and dependent business sectors. Employers evolve benefit programs to create flexible benefits like helping to pay down student loans for employees. Any feedback and insight you have on trends is also welcome. Sent them to us at envision@vestigoventures.com. 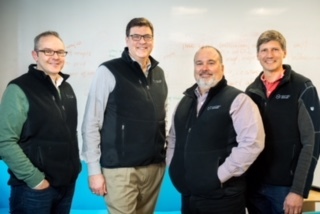 We invested in Craig Welch’s newest startup Kingfield Corporation’s (“Kingfield”) Series Seed. Craig’s previous venture was the very successful Acadia Soft. 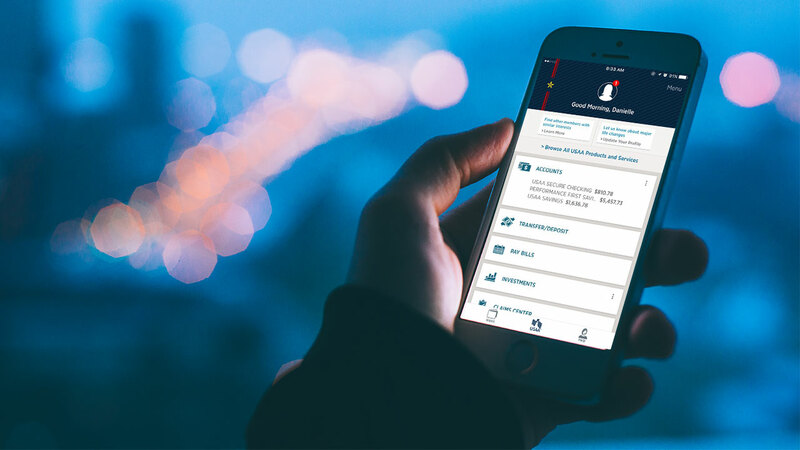 Kingfield is a financial technology start-up that is currently developing a common industry communication network that will organize, standardize and facilitate delivery of operational type messages between institutional investors and the agent banks with which they have relationships. The building of this secure technology environment will allow all market participants to transmit routine post-trade correspondence, across all asset classes, through one client portal, thereby eliminating emails, chat, paper correspondence and other inefficient bespoke forms of communication. Our co-investors include Bain Capital Ventures and Contour Ventures. 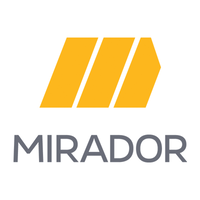 It was a short time ago that we announced an investment in Mirador. We are pleased to mention that they have sold the company providing our LP’s a 3X return on capital in a very short time. This will allow us to post an excellent IRR for the Fund in its early days of operation. 2019 will be an exciting year for our company as we scale to support our customers to achieve their financial goals and have fun while doing so. Even so, we share concerns about the impact of an economic recession but hope that we can help our customers weather this time of insecurity. Traditionally (and sadly) Lottery expands during times of economic hardship because people are looking for hope. Hopefully this dynamic will help people to find our games of chance and be motivated to save instead. Fintech is only at the beginning of its story. Even the biggest FinTech companies are still small (~2M customers) relative to the opportunity (~200M customers) so lots of expansion is possible in the years to come! So no surprise, we’re bullish about next year for Long Game. 2018 was our year of product-market fit and establishing channels for efficient growth and we start of 2019 with a new round of financing, poised to scale and monetize, and ready to help our customers succeed in the face of a tough economy. 2019 is a tremendously exciting year for towerIQ, we have a number of large achievements around the corner. In particular we’ll be converting our pilot customers into enterprise customers in the beginning of Q1; this comes at the heels of launching our first 10 micro-services in January. Our incredible engineering team has worked hard in ’18 and plans to nearly triple in size and productivity over the next twelve months. The new year also represents a pivotal time for the commercial insurance market. For the first time we are seeing large incumbents hiring Chief Digital Officers from other industries. A number of large brokers saw internal projects fail in ’18 and will now be looking to buy additional solutions in ’19. External pressures continue to drive brokerages to become more operationally efficient, we expect this will expedite our pipeline and adoption exponentially as the new year unfolds. FRST enters an exciting phase with the new calendar year; we will be product-in-market around the time our Series A round of financing is set to occur. 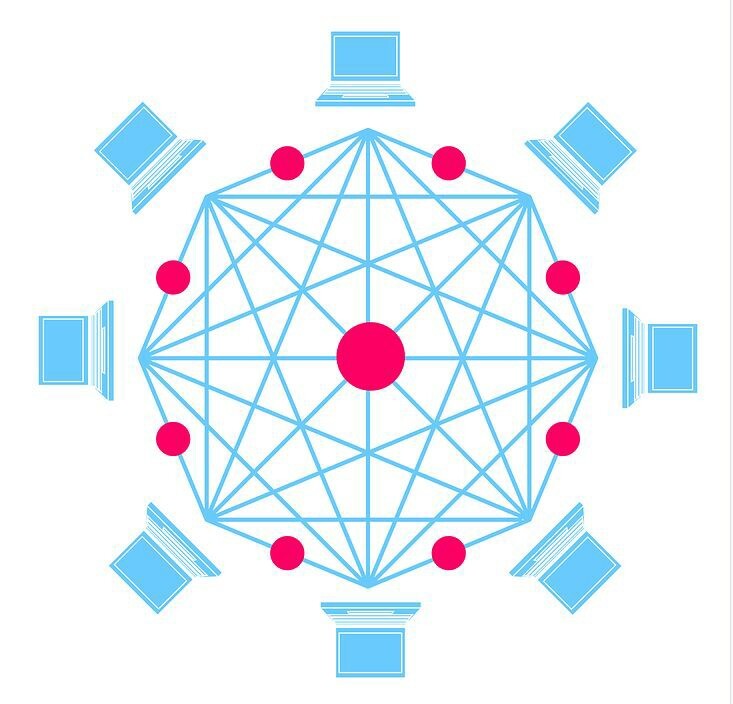 Many of our customers, investors, and partners are generally oriented toward active trading (rather than being fundamentally long BTC, for instance) and turbulence in the markets always brings with it excited volumes and new arbitrage opportunities – we strongly believe that rough seas create interest in these markets and also interest in tools that can be used to increase the signal-to-noise ratio on a busy day. Volatility in crypto markets is not new and it is not going away any time soon. We believe identities – and, specifically, the ability to personify addresses and locations and traffic patterns on the network – will be the big change in blockchain in 2019 and that FRST’s technologies are at the center of this revolution. 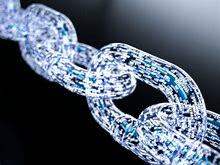 Vestigo portfolio company CEO Karl Muth was recently featured on IBM’s blockchain blog. At Vestigo, we are lucky enough to have access to his thinking quite frequently, it is our pleasure to share his perspective with our readers. 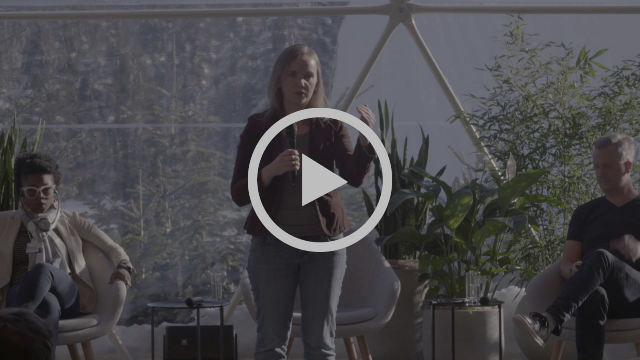 Human progress is defined by the desire to take risk — whether that’s getting married, buying a home, having kids, getting on a plane, taking a new job, even moving to earthquake country (where this talk originally took place, in Los Angeles, as part of the a16z Summit 2018). 2018 has been a breakout year for FinTech. 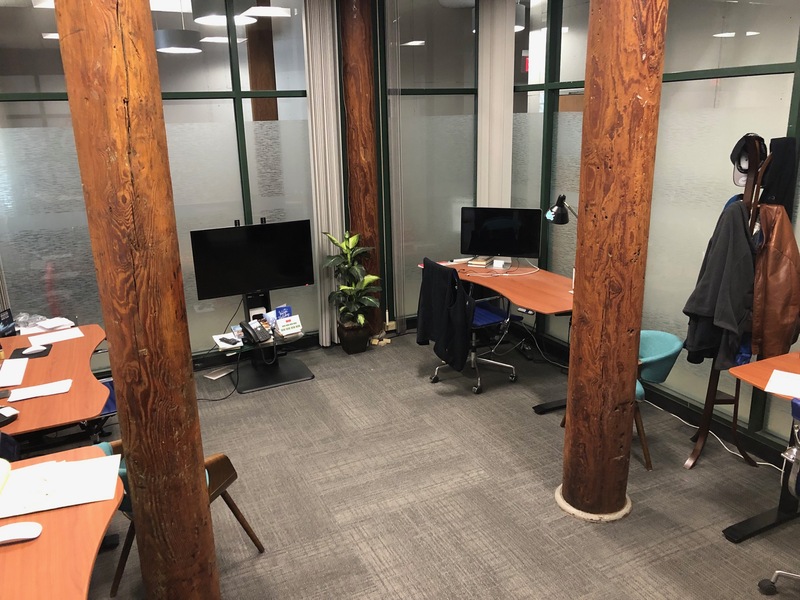 While we expect to remain busy through the end of the year, we are already thinking about where we will hunt for the next big FinTech startup in 2019. 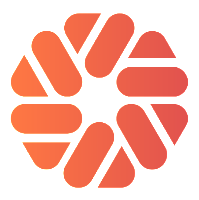 Copyright © 2018 Vestigo Ventures, All rights reserved. There is much to do to keep America at the front and center of innovation. This month we focus on our thoughts on the shifting regulatory landscape and the corresponding opportunities for FinTech startups. The key need is to have ways to allow startups and incumbents to test their ideas. Some have suggested a “sandbox” that allows for experimentation by the various regulators for small scale tests. Arizona is the first US state to create a regulatory FinTech “sandbox,” joining countries such as Australia, Singapore and the UAE. Another approach is to put into place lower cost regulatory structures like inexpensive bank charters which has been done in the UK. Singapore has lead the way for making it safe to innovate and get it right but be okay if you get it wrong. Switzerland has focused on digital assets and creating an easier way to let that industry grow. We need our regulators, starting with the SEC, to pave a way for use of the new technologies and customer demands to practice, dare we say play? This needs to be supported by our banking regulators as well. They do so informally but need to create clear guidelines to avoid harm to consumers but allow for expansion of ways to serve them. Matt Beecher from Vault (formerly Student Loan Genius) joins us to talk about how Vault is combatting student debt burdens and the regulatory tailwinds behind the company. Investment decisions are easy when you meet founders whose product is 10x better than its nearest substitute. According to the efficient market hypothesis, opportunities like this only arise the moment a 10x technological breakthrough occurs. Fortunately for us, (and our LPs) we don’t have to wait for quantum computing to find great investments. Sometimes we just have to recognize when a meaningful group of potential customers are forced to rely on a terrible product. But where to look? On October 5, 2018, VVF1 invested in a convertible note for Long Game Savings Inc. Long Game is a prize-linked / goals-based personal finance app that allows users to play games to win cash prizes and rewards for good financial actions. The Company is not pursuing a financial literacy or financial education strategy, rather they are pursuing financial improvement through action. To date, Long Game has acquired 200,000 users, of which 50,000 have activated savings accounts. The Company is highly focused on customer acquisition and engagement. As a result, Long Game has created an incredibly cost-effective customer acquisition strategy translating to a massive lifetime value (LTV) to customer acquisition cost (CAC) ratio. 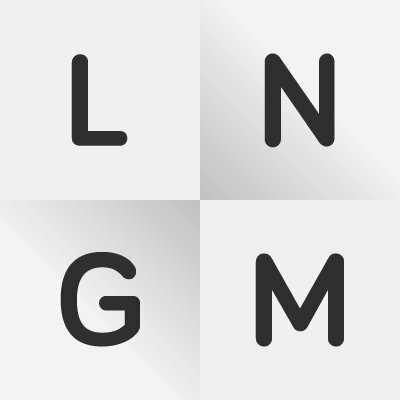 Long Game was founded by Lindsey Holden and Ashby Monk Ph.D. Holden has been involved in startups since 2011 when she joined Formation8 (a digital-focused VC) as a founding associate. She started her first company, Innovative Auctions, in 2013 which she lead to a successful exit in 2015. Monk has held top research positions at Stanford since 2011 and has founded three startups prior to Long Game. Long Game is the first investment sourced from Vestigo’s recently launched XPLR algorithm. Our co-investors include Collaborative Fund, M Ventures and Thrive Capital. 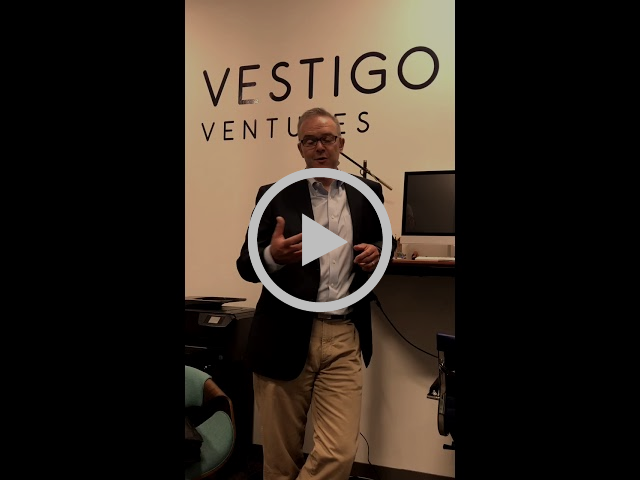 Mike Nugent, Managing Director, will serve as Vestigo Ventures’ Board Observer. 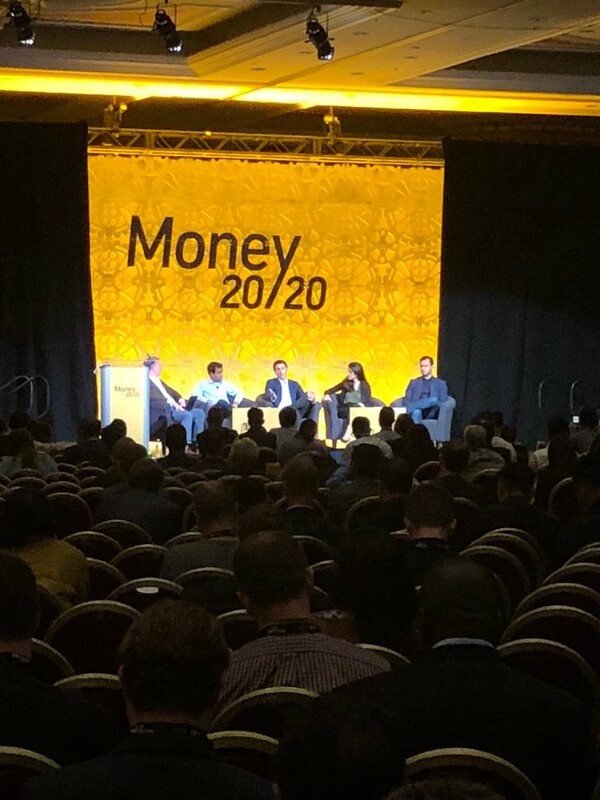 I attended the Vegas show of about 12,000 disrupters at Money2020. It was fantastic to see so many focused on the same goals of improvement of our financial system. The expo hall was massive and the meetings were well attended. The only disappointment was T-Pain who gave a less than exciting show the second night. 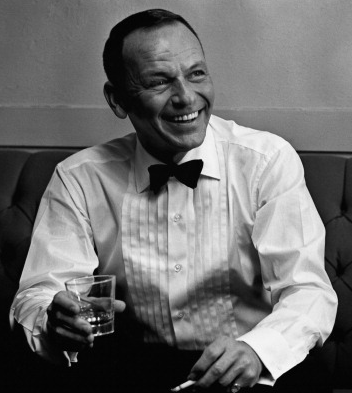 How could he not perform “Hey Bartender”? We used it to reconnect with fellow venture capitalists, discover new startups and meet potential LP’s for Fund 2. It was excellent for networking. Not a headline you might expect about the US regulator for brokerage firms. They put on an impressive gathering of thought leaders in FinTech as well as other regulators. Mark is on the committee for FINRA along with a variety of startups in FinTech and consultants on the topic of innovation. It makes for a great discussion. Vestigo’s favorite tax SaaS received a glowing write-up on BitcoinExchangeGuide. If you actively traded crypto last year, you’ll already know that you need this. 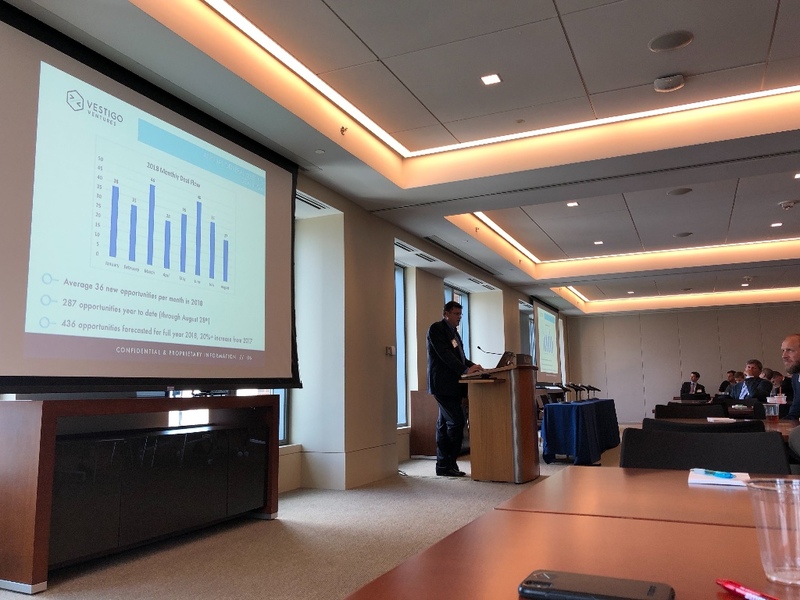 Micronotes CEO Devon Kinkead was a keynote speaker at the Raddon Conference in Chicago on Tuesday. His talk focused on communicating what AI and ML is and how it can be applied for maximum competitive advantage in partnership with people. Yogi Berra understood that we tend to “make too many wrong mistakes.” A system that empowers regulators and entrepreneurs to make micro-scale mistakes would catalyze large-scale benefits for everyone. We were pleased to see that FINRA is delving into the world of FinTech. At Vestigo, we view the change coming to this industry as a unique opportunity; regulatory clarity is a welcome development. Mastering the intangibles of a customer’s experience, like being easy to do business with, can help carriers earn greater loyalty. We have refined our algorithms for sourcing FinTech companies and are now getting five or more startups monthly to investigate. We will be announcing our first investment discovered by XPLR soon! We are often asked what will allow an incumbent to succeed in these fast-paced times. We need look no further than the value chain. What distinguishes your company from any other in financial services? We are pleased to welcome FRST (and their puppy! designed by Simon Oxley whose portfolio includes logos for Twitter and GitHub) to Fund 1. Vestigo was co-lead on a $3.5 million seed round with CMT Digital. 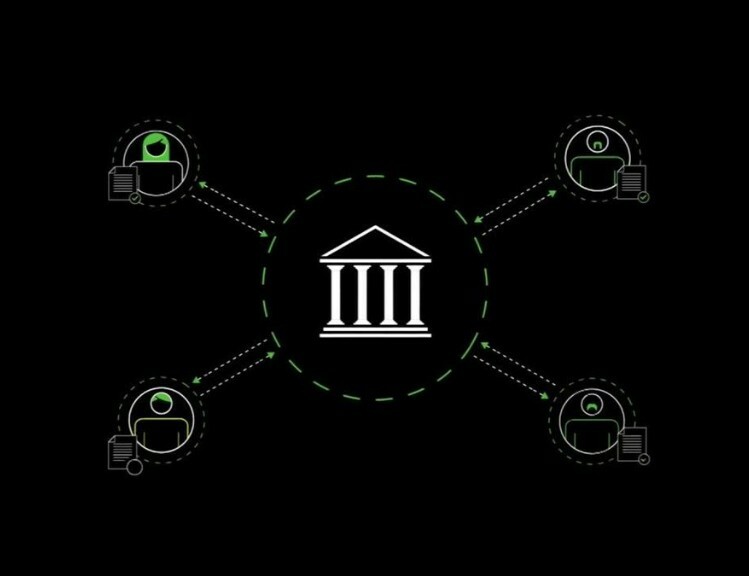 FRST is an enterprise-grade, trading floor-ready technology suite that enables professional traders to perceive, categorize and act upon transactions involving digital assets. 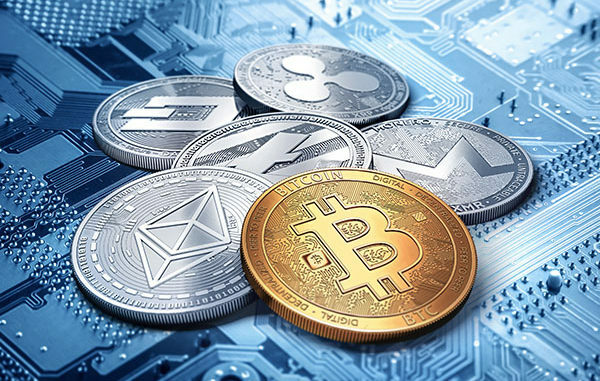 The company’s technology rapidly identifies digital currency token trades before they are moved from a wallet to an external party or exchange, providing important insights for firms trading cryptocurrencies. The infrastructure necessary to ensure access to trusted, transparent and actionable information is the void in the crypto market that FRST is successfully bridging. They have a clear customer focus starting with high performance trading floors. They are in a beta rollout with the goal of coming to market in a few months. Founded by Patrick Gorrell and Jonas Frost who are both serial entrepreneurs, they brought on Karl Muth as CEO. Karl founded Haystack and has extensive experience in financial services from American Family Insurance, Starwood and Corus Bankshares. Karl is also a University of Chicago JD and MBA as well a PhD from the London School of Economics. Gorrell’s technology experience includes development roles at eekoh, Wildlife and Speakr. 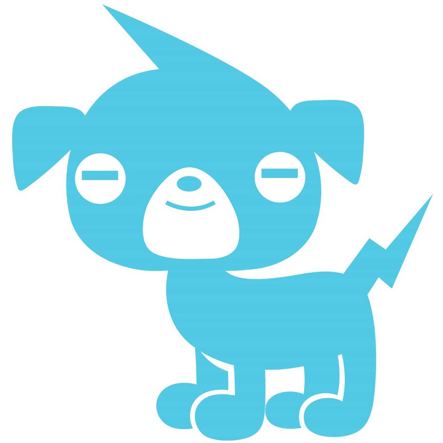 Frost co-founded Playahead AB which was the first viral social-media platform in Scandinavia. 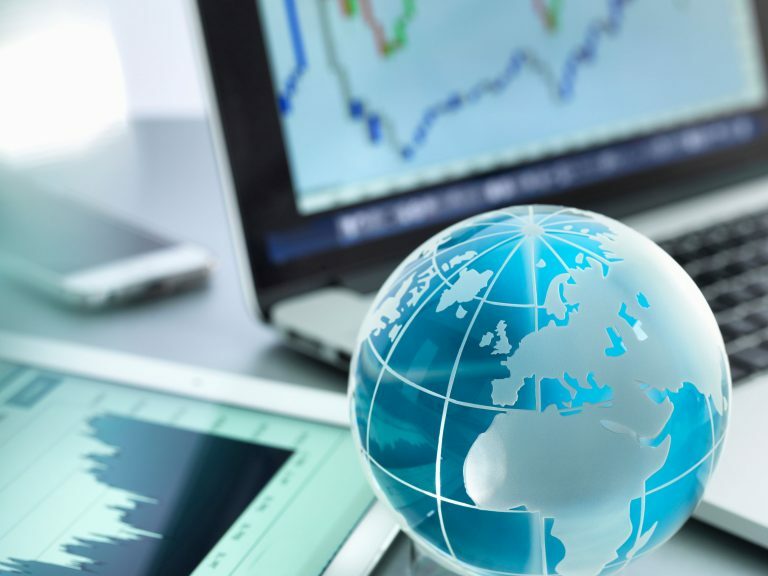 We believe the tools needed to successfully trade these new asset types will be in demand as the market normalizes over the next several years. Recent announcements by Fidelity and Goldman Sachs demonstrate the ever growing need for infrastructure. New look, same genius! 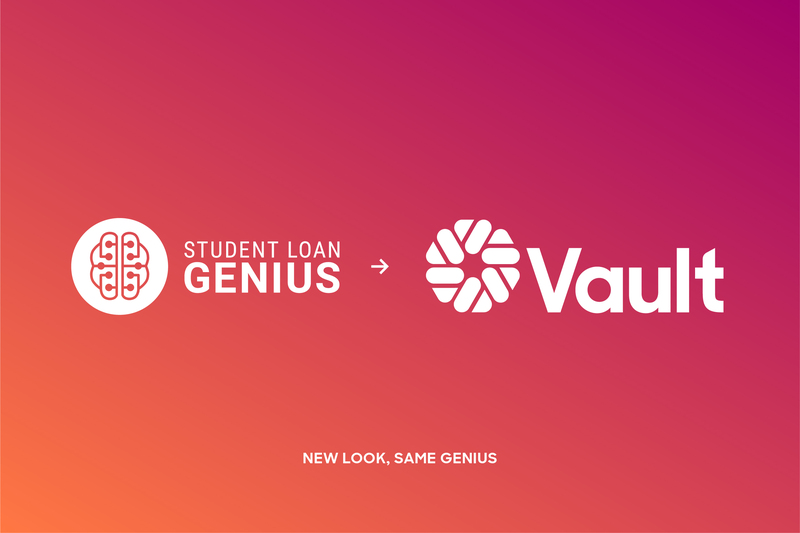 We are pleased to share the story of Vault’s successful rebranding and are confident that the team will continue to aid their customers in tackling the suffocating problem of student loan debt. 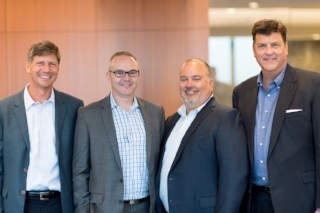 Vestmark recently announced the acquisition of Adhesion Wealth Advisor Solutions. Adhesion is a complementary portfolio and practice management SaaS for RIAs. The acquisition will only broaden Vestmark’s robust portfolio of customer solutions. Netcapital has recently expanded its addressable market with the landmark offering of Braidy Industries. Netcapital has historically focused on empowering early-stage entrepreneurs. With Braidy looking to build a $1.6B aluminum rolling mill in Kentucky, the team at Netcapital has demonstrated that they can delight large-scale enterprises as well. We are delighted by the news the LifeYield is partnering with yet another major asset manager in Russell Investments. Here at Vestigo, we are closely monitoring the horizon for the killer-app that will catalyze the mass adoption of blockchain technologies. 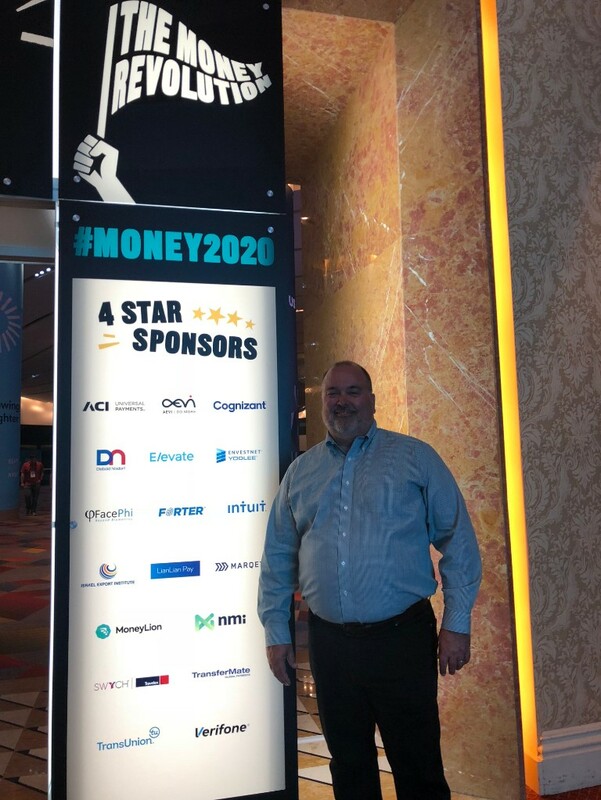 We are looking forward to Money2020 this year in Las Vegas. Maybe not the spot we would pick but what a great gathering of many FinTech influencers. Our portfolio company CEO’s did an amazing job explaining their company’s advantage to our LP’s in two panels for the event. Their dedication to their mission and their absolute belief in the market opportunities they are seeing is infectious. It is one reason why I was so excited to establish Vestigo Ventures. We appreciate all they did to show what great leader’s they are for their company. We are privileged to provide capital and our network to them. 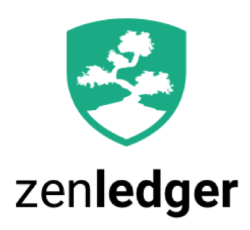 ZenLedger, the No. 1 tax software for cryptocurrency investors and their accountants, is now part of the Vestigo portfolio. 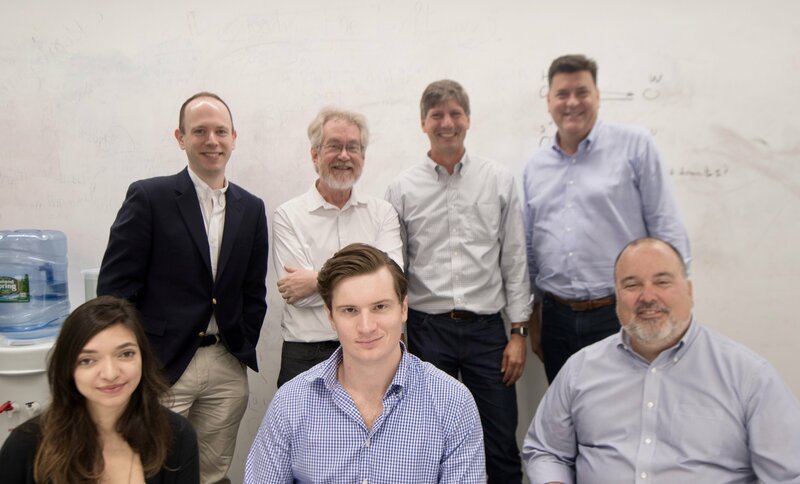 We lead a $1.5 million round with Castle Island Ventures as a co-investor. ZenLedger is lead by Pat Larsen as its CEO. Pat is a US Air Force Academy graduate and former Navy helicopter mission commander. More recently, he was an Amazon business manager with a $100 million p&l. The co-founder of the firm and CTO is Bryan Starbuck. He is a serial entrepreneur and CTO with two of his startups acquired. He is also an early crypto investor. They are joined by Drew Nordstrom, President, and Saqib Rasool who is the CRO. Drew has many years of startup investing experience while Saqib brings his business development skills from Microsoft. They see an opportunity to provide CPA’s and crypto-asset investors with a smart way to report their gains and losses to the IRS. It is clear that these are taxable events that need to be reported. They are seeing early traction from their target audience. They will push hard to partner with exchanges to provide their services to their customer base. Check out a recent blog by Pat Larsen here. This was a sold out session. Ian led two separate groups to share perspectives and answer questions from entrepreneurs and financial services leaders. 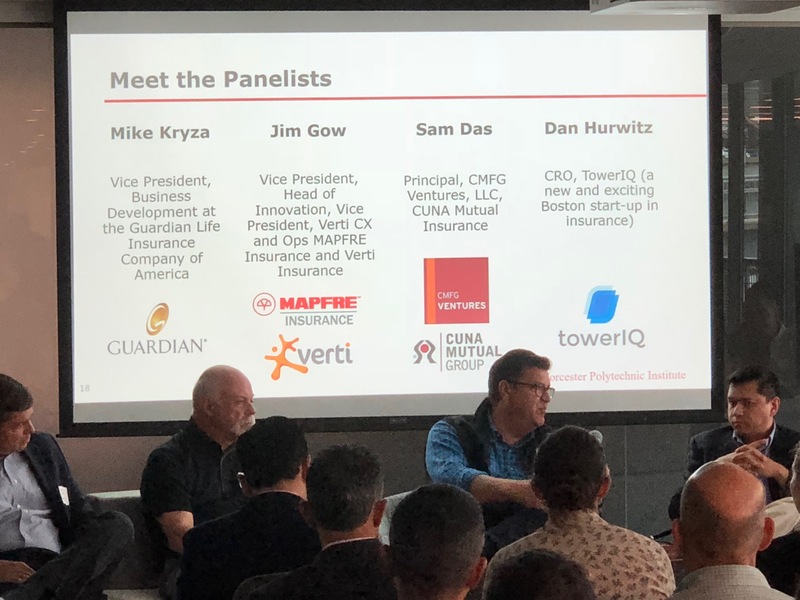 This was an experienced panel including: Mike Kryza- Vice President, Business Development at the Guardian Life Insurance Company of America, Jim Gow- Vice President, Head of Innovation, at MAPFRE Insurance, Sam Das, Principal, CMFG Ventures, LLC, CUNA Mutual Insurance, and Dan Hurwitz- CRO, at TowerIQ. 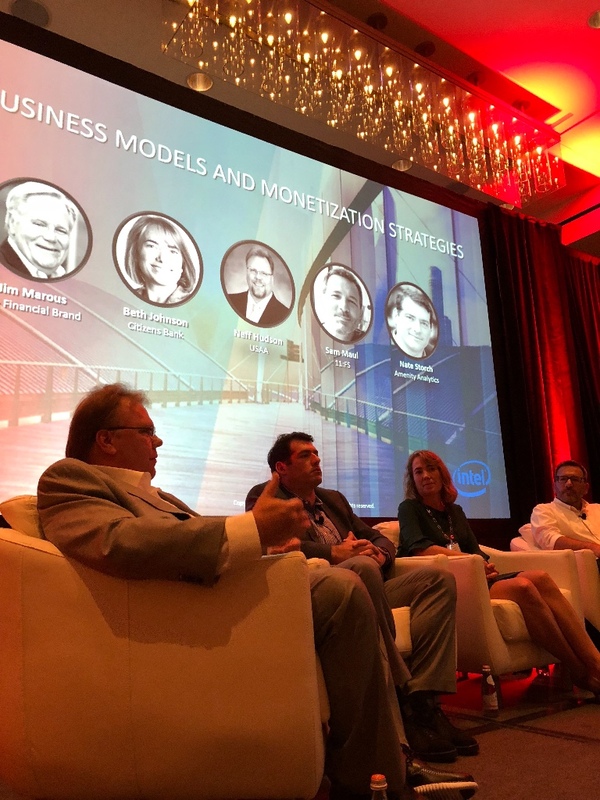 The discussion was around four areas: Greatest areas of opportunity, Major trends today, Internal innovation Vs. external opportunities, Perceptions vs. the reality of the insurance industry. 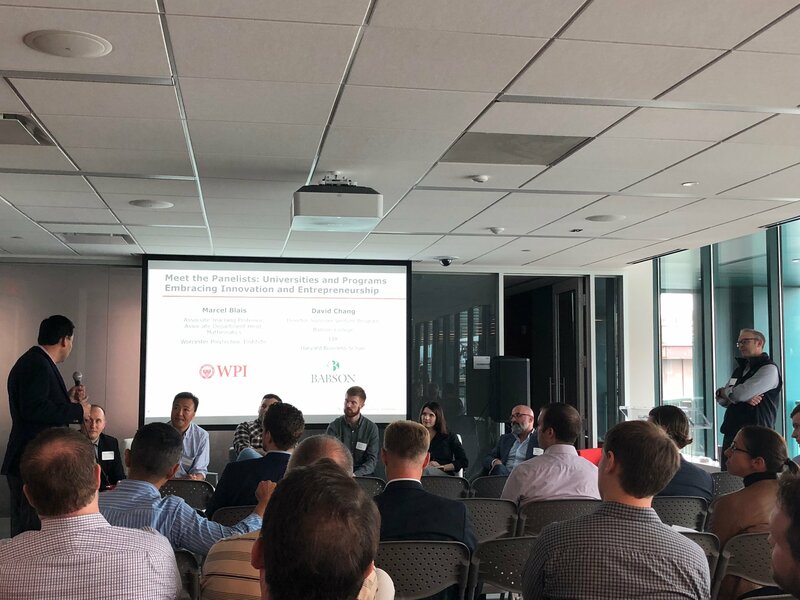 Vestigo partnered with WPI to sponsor Universities and Innovation Life Cycles. The panel included both local university leaders as well as entrepreneurs who founded their companies while in school with two companies tackling the $1.5 trillion student loan problem. FinTech week keeps us in front of the growing Boston startup community and helps us build relationships globally. 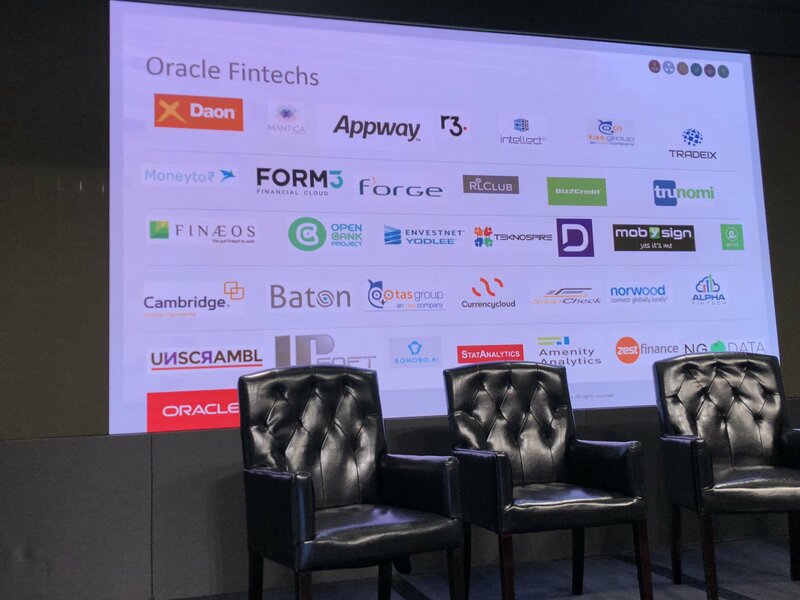 Oracle Pushes FinTech in NYC and Boston It was a productive week with Mark able to co-MC an event with Oracle that brought together over a dozen leaders to discuss their views for startups and incumbents. This is part of Oracle’s push into this sector. They are focusing on bringing a family of FinTech startups to the market in partnership with their cloud services customers. We are working to gain access for some of our portfolio companies. Trevor Dryer shows how to lower costs for loan origination in Independent Banker. Student Loan Genius is ready for the new demand that may come from a recent private letter ruling on the use of benefits payments. Mark Donohue joins the team to lead the finance effort. He joined from Rapid7 and loves high growth companies. SS&C’s Black Diamond, which is a key player in the advisor technology business, has integrated the Taxficient Score into their wealth management platform. We received a great deal of coverage on the closing of Fund I. This piece from RIABiz looks at our thesis for investing as well as the companies we have in our portfolio. We are excited that we have closed Fund I. 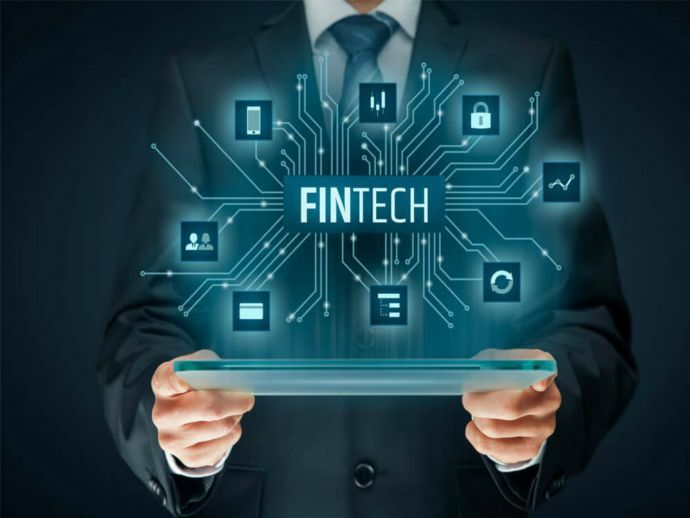 It is comprised of corporate partners (51 percent), family offices (28 percent) that recognize the power of fintech and want a stake in companies that are transforming financial services, as well as individual investors (21 percent) who represent a “who’s who” of the industry. It has been a great lesson in helping investors understand the opportunity in FinTech while being clear how unique we are with our operators experience and the data assets of Cogo Labs. The fund is at $58.9 million in assets vs its target of $50 million to focus on early stage startups. We are excited to back entrepreneurs who are out to massively improve financial services. It has been very rewarding to hear their stories and share their excitement for change. Thank you to Ian and Mike for such hard work to get to this point. Our partnership is founded on bringing together different points of view from our varied backgrounds to make the best decision to drive value for limited partners. What a summer our PhD candidate intern is having at Vestigo. Farrah discusses her work at the firm as well as her thesis. Last year we celebrated summer by providing our nerd approved book list which many told us they enjoyed. Here is this year’s list of suggested reading. Checklist Manifesto by Atu Gawande- for all our focus on erudite strategy, it’s easy to overlook blocking and tackling…Checklist Manifesto is a simple and effective as it gets. It is easy to see why Frazer enjoys this one given his organization skills. Mira Wilczek’s dad Frank wrote a book for the masses: A Beautiful Question – very fun read that makes you feel good about fundamental science again. 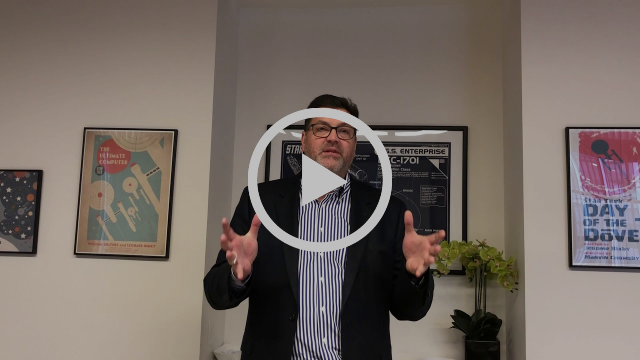 Sean Hanlon of Hanlon Investment Management highly recommended the somewhat hard to find classic the E-myth by Michael E. Gerber which gets off to a slow start but has a great second half. It makes a point that is suddenly timely again which is that great companies often have only one innovation followed by decades of “franchising” and scaling the idea. If you read it or skim it and think about Booking.com (now worth $100B) while you do it, you will be rewarded for your diligence. From Here to Security by Robert L. Reynolds who runs Putnam Investments put out this book to provide a blueprint on achieving retirement security in America. This one caught Ian’s eye given his focus on workplace savings. Maybe not a beach book but still thought provoking. For another take on the financial system Mike suggests Red Notice by Bill Browder. It tells the story of Russia’s markets and its brutal realities. Mike visited Russia for the World Cup so found this page turner a good way to better understand the culture. “If you want a new idea, read an old book” is precisely what Frazer Anderson has done this summer. He is thoroughly enjoying Livy’s Ab Urbe Condita Libri (History of Rome). The great Roman historian’s commentary on the social and military strife faced by the early Roman Republic is perhaps more relevant in today’s political climate. Mark enjoyed Niall Ferguson’s The Square and the Tower which discusses the struggle of networks vs hierarchies. He found the comparison’s of today’s technology revolution to the period just after the printing press was invented quite enlightening but a bit frightening. Dave’s friend Peter Diamandis of xprize fame wrote Abundance along with Steven Kotler. It provides a roadmap that is still relevant several years later on finding solutions to the world’s most pressing issues. Enjoy! Some firms may head for a whale watch for their summer outing but the Vestigo team spent time with amazing thought leaders. John Werner set up meetings with Alex “Sandy” Pentland and Alex Wissner Gross to open our thinking about blockchain, digital assets and technology changes. Mike was unable to join us due to a family commitment but we will make it up to him in the Fall. We did find time for a fun lunch at Lil Donkey. Perfect spot to discuss what we learned since they are a fusion restaurant bringing the best together. Mike Nugent lead our investment in Mirador. They are passionate about helping small businesses grow through access to reasonably-priced business loans. Mirador’s leading small business, digital lending platform powers a new relationship between small businesses and lenders. It provides a smart, fast and secure cloud-based experience that turns burdensome paperwork into a ‘wow’ experience, enabling banks to make a decision on loans in 24 hours or less. The Mirador Network is a digital lending marketplace connecting small business organizations with lending options. Mirador works with leading financial institutions and has processed more than $1.35 billion in small business loan applications. These come via their customer base includes Zions Bank, Hanmi Bank, Tompkins Financial and First Foundation. Mirador has a senior team of executives with significant small business technology experience in product, sales and software development. Mirador’s key team members are as follows: Trevor Dryer, CEO & Co-Founder Both his professional and education background have set him up for success as a first-time founder. He began his career at Bain & Company before going to law school at Stanford. After two years as an attorney at Munger, Tolles & Olson, he went on to become the Head of Product Management Mobile Payments & Point-of-Sale at Intuit, a fintech software company. William Beaver, PhD, CTO & Co-Founder Beaver developed a deep expertise in AI & ML prior to co-founding Mirador. In 2011, he completed a PhD in Computer Science at UC San Diego. After completing his PhD, he held senior data scientist positions at Trapit and FlightStats. Carol Glover, Chief Revenue Officer She became the CRO of Mirador in January of 2018. Carol brings an impressive leadership experience in business development for fintech companies. Previous roles include SVP Strategic Partners and Business Development for Bill.com, Director of Business Development at Intuit and VP Business Development at PayCycle. 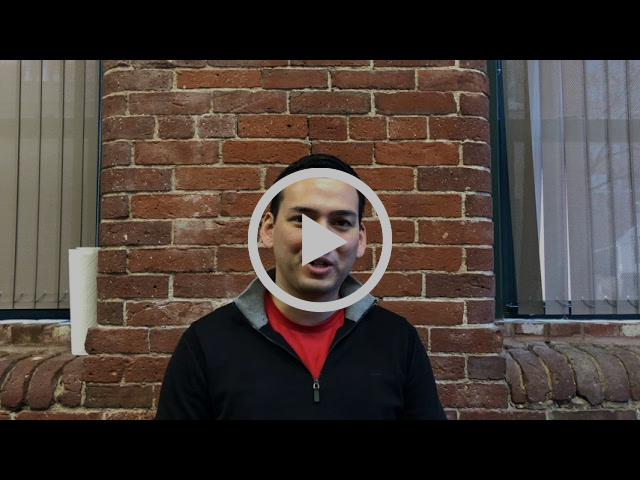 Mike Camacho, Head of Product Mike joined Mirador as Head of Product in January of 2015. Prior to joining the firm, his longest stint was six years as Senior Product Designer at Jive Software. Mike holds a BS in Product Design and Computer Science from Stanford University. We are proud to partner with Mirador to help small businesses grow with their banks/credit unions. Boston Business Journal names Vestmark for the third year in a row to their list. While not a typical summer read, it is a great guide to what is on the minds of our Washington DC regulators for startups in FinTech. The report encourages experimentation and innovation for the financial services industry. Found this helpful guide on the blockchain that answers many of the questions we get about this tool. 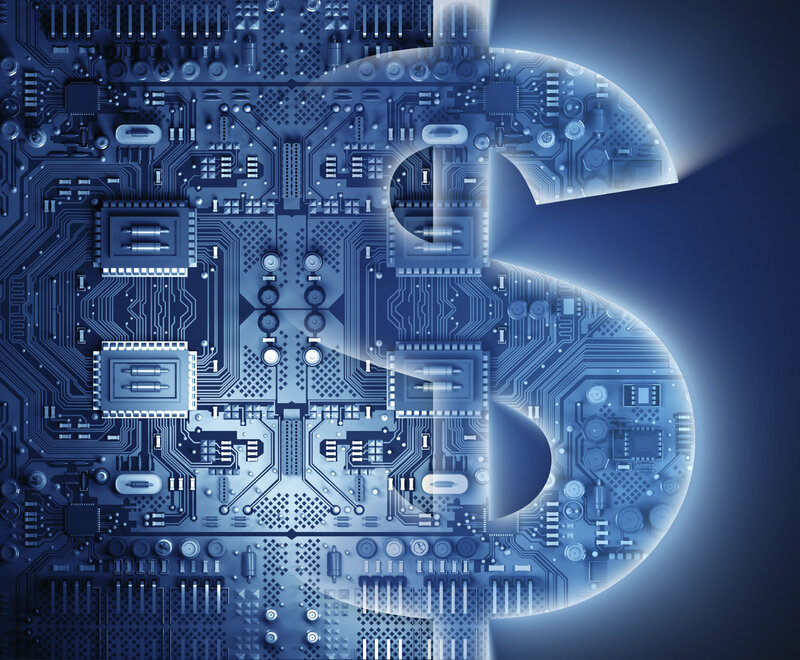 FinTech Frenzy: Hype or Reality? Fortune has a wonderful overview of FinTech from our friend Matt Harris of Bain Capital Ventures. 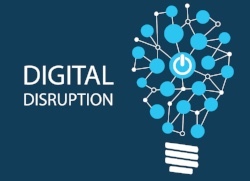 Great insight on how disruption affects industries. Culture Matters: What Do We Value? Culture and teams are the most important ingredients for success in companies. This is our conviction at Vestigo which makes us work hard to think about how we define our culture and the behaviors we require to ensure that we are what we want to be as a firm. It might have been easy to be relaxed about issues like culture when it was Ian and Dave and Mark starting the firm. Because we understand its value, we were not relaxed at all. We set down principals on how we wanted to behave and what we valued. We understood our mission quite easily-maximize returns for our LP’s. Our early thinking was much more about how we would make this mission work. What culture would we create to make this mission successful? Our team has doubled in size since then. 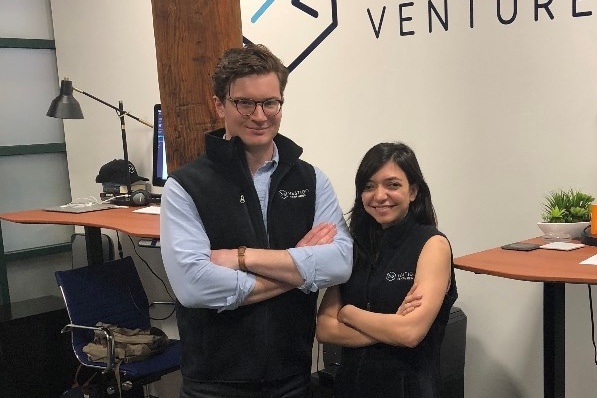 We added our fourth partner Mike Nugent almost two years ago and more recently our new analyst Frazer Anderson and summer associate Farrah Nekui, PhD candidate. Each hire has reaffirmed our commitment to the culture we set out to build. We focus on a few key elements of our culture: respect for entrepreneurs; speed of execution; communication with substantive feedback, and; finally, fact based decision making. 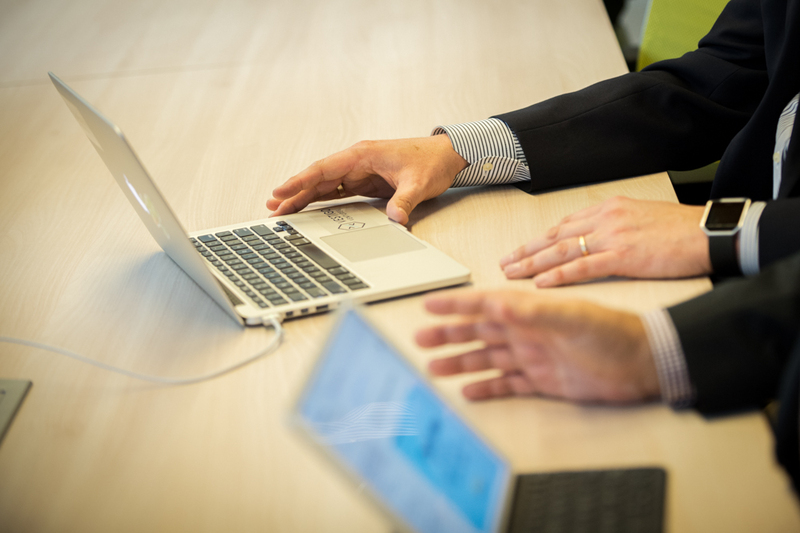 We value diversity of the team’s point of view and make sure all are heard in the process. If we remain focused on living these values in our culture, then we will reach our mission of maximizing returns for our LP’s. Frazer Anderson recently joined Vestigo as an analyst. He discusses his background and early experience at the firm. We asked a question of our advisory board related to financial services incumbent innovation. What is your point of view on incumbents in financial services and how they can innovate? We got some wonderful insight from their answers. Ray Wang- Innovation is about where you can automate the greatest dissatisfaction that earns you the permission to take on the other parts of the business. Darlene DeRemer- Incumbents need to innovate or die. They need to cannibalize their own business to be disruptive. Jarrett Lilien- Many incumbents suffer when they believe they have arrived at their end state. There is never an end state, just the current state. I believe it is necessary to build and instill a culture of perpetual innovation and continuous improvement to avoid end state thinking. Having an innovative culture means taking some risk, embracing change and allocating time and capital each year to new ideas. This should apply to outward facing ideas as well as inward ones. Incumbents should make use of their scale and consistently consider innovations in product, distribution and operations. George Wilbanks- Strong corporate cultures in successful companies can become a tremendous liability during periods of accelerating change. Make sure to push hard to develop and maintain a highly diverse culture. Diversity will promote different points of view on risks and opportunity, making it more likely that a realistic assessment of clients and services will lead to faster innovation or more intelligent strategic partnerships. Pete Mattoon- Many established financial services companies have long been flexible and dynamically react to the changing products and client/customer needs. Capital markets evolution and regulatory changes have forced that culture. For example – mortgage backed securities were created out of thin air in the early 80s – they grew because they served a great purpose in enhancing the velocity of home loan capital. But senior management at the big Wall Street firms had to be taught what they are and then decide how much capital to allocate but they did and created new businesses for their firms. 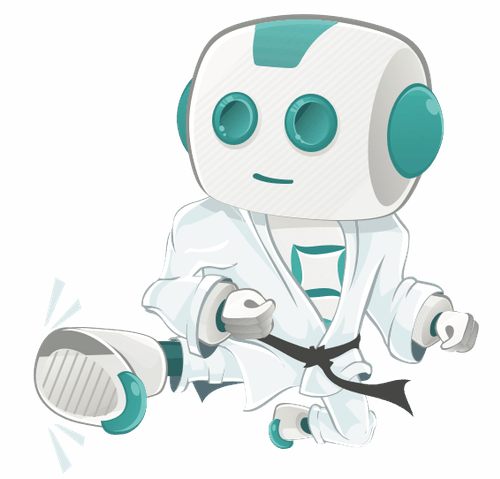 Another example -The notion that Robos are going to knock over the incumbents is ludicrous. Vanguard, Schwab and Fidelity easily reacted because they had most of it already in place – it was largely repositioning. So the “incumbents” are smart, dynamic and have near infinite capital. Look at them as partners in many cases, and the ultimate exit — if they haven’t copied your products already. There are exceptions of course. Andy Putterman- I think many of the incumbents do not have the mindset and ability to make the radical shifts needed in the next few years. This does not mean “business ends” but will have a profound effect on the ability to attract top talent and new clients. Many will need to acquire firms that don’t have the legacy issues, which includes pricing models, to slowly migrate to more innovative and adaptable technologies. John Werner- These are new times for incumbents, that have not been like the past. Experiment with all the emerging tech. Tom Gavin- Change happens slower than you think in the short run and faster than you think in the long run. Therefore, keep a steady pace of innovation going. That way you cannibalize your own cash cow with the “next flavor” rather than letting others do it to you. Maliz Beams- First, the days of any one company trying to do everything by itself are over. An old way of thinking was that we had to control every aspect of every transaction and that no other company could do things better than we could. As technologies and businesses evolved, best performing companies have abandoned that perspective. Instead, they now actively seek out business partners whose capabilities can complement, or in certain cases, replace their own. Building and sustaining “partnership capability” within an operating model takes a very specific set of core competencies. It’s a new skill set. 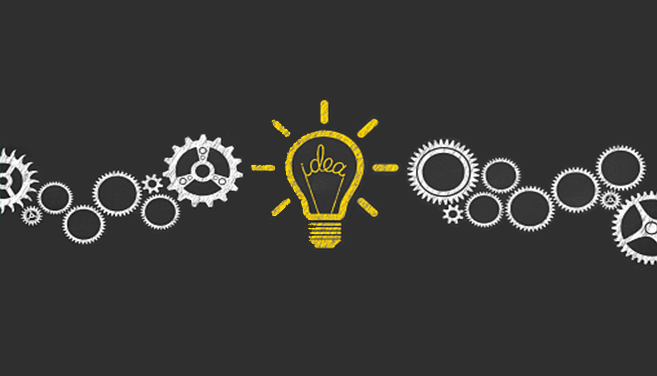 To innovate as quickly as is needed, import that expertise into your organization. Build a sustainable, internal competency around external partnerships. Second, lead from the top—you can’t delegate innovation. It takes time, but be acutely aware of disruptors in your market and in adjacent markets. Go to Silicon Valley, go to Kendall Square. It’s happening with or without you. Immerse yourself. Prepare, anticipate, adapt. We completed our seventh investment on July 2nd. 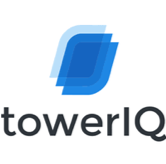 We invested $750K in Tower IQ, an InsurTech platform that is designed to be a broker-first solution for streamlining workflows while capturing the market’s most valuable data. Our co-investors include Hyperplane Venture Capital, Clocktower Technology Ventures and a number of angel investors with industry expertise and value-added networks. We are impressed with the team leading the company. Adam Demos is the CEO with a background in FinTech from his stent at EquaMetrics and in a competitive intelligence company named App Annie where he was in a business development role. Dan Hurwitz is COO and a co-founder with Adam. He was an associate at Hyperplane Venture Capital where he focused on FinTech startups. Michail Medvinsky just joined the firm as CTO and given co-founder status given his great technology delivery track record. He was recently CTO at Plastiq and was at Fidelity prior to that with a large staff of engineers doing core infrastructure. Why your employees are not using your 401k plan. Steve Gresham from LifeYield shares insights on wealth and taxes. Its more uplifting than you might think! Paul Samuelson always has great insights on taxes. 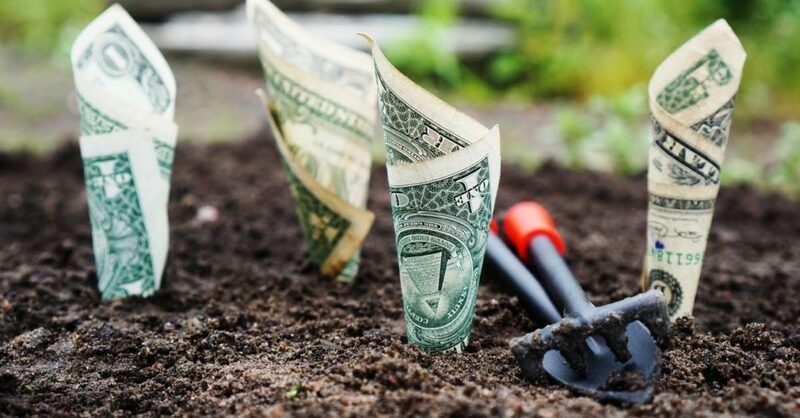 In the first blog on the topic, Micronotes provides insight on the cost of customer attrition. Further insights on turning digital outreach into a tool for growing the bank’s business. Artificial intelligence is reshaping how we work, interact and share information and content. AI can be a threat and opportunity for incumbents. Momentum will continue to build for AI. 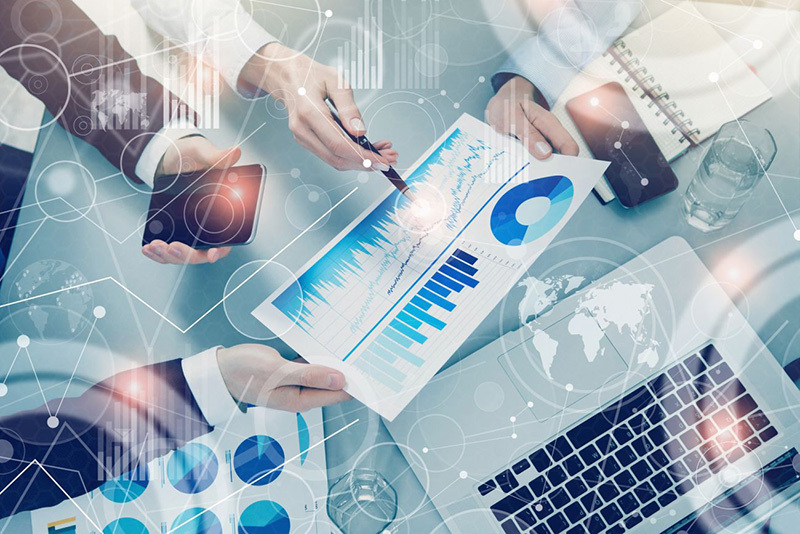 Collecting, organizing and managing actionable data remains an impossible undertaking for brokers and carriers alike. We have both benefited from many fine mentors over the years as I am sure all of you have done. This issue we decided to ask our amazing advisory board members for their advice and counsel for startup CEO’s and for executives in established financial services companies. Fascinating answers from them for you to study. Dave-Mentoring pays dividends over and over again. As a result Dave spends a great deal of time mentoring across the Cogo Labs team and the portfolio companies. Mark-Take two steps back to communicate and ensure alignment to be able to move very rapidly once an agreed course of action is shared. Turned out the two steps back was not a set back but rather a chance to get others inspired and excited by the opportunity at hand. Feel free to share your insights with us by sending along a note with your best advice received to mcasady@vestigoventures.com. 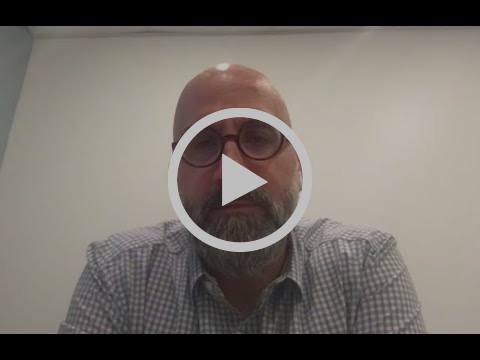 Mike, Managing Director at Vestigo, talked to us about data and how he uses it. We are pleased to have Frazer Anderson join us as a full time analyst at Vestigo. He brings an extensive background in evaluation of managers and use of technology for our team. Farrah Nekui, who is a PhD candidate at Northeastern University, will be with us this summer as an intern. 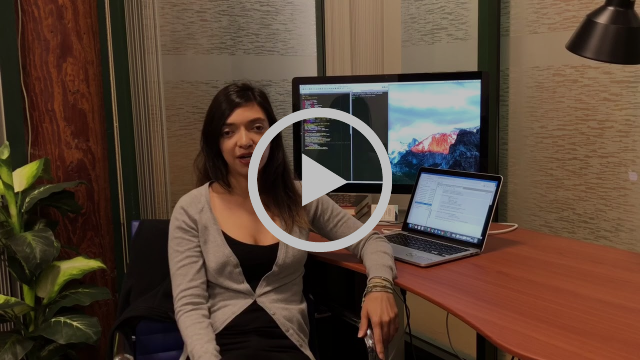 She has an extensive background in economics and pricing as well as being quite nimble with SQL to assist us in the use of the Cogo Labs data. I asked our fantastic advisory board (take a look at the team) to provide their best management advice. Here is some wisdom laid down for all of us. From Ray Wang-Get the economic model right before you build the offering. Make sure you understand your unit cost pricing model so you know where to bundle and where to decomponentize the cost structure. From Darlene DeRemer-Strategy without execution is hallucination. From Jarrett Lilien-First, make sure they have enough runway. For Jarrett this is 18-24 months of capital. Second, ensure they have strategic alignment with their major stakeholders. From George Wilbanks-Be realistic about the time, budget and career risks you are taking. As setbacks occur along the way, be nimble and creative in seeking strategic partners to help you reach your goals. From Tom Streiff-Stay flexible. You may have what you think is the perfect idea, with a perfect execution plan. Listen to the people around you. What you think is “perfect” may need some adjustments. Stay true to your values but be flexible and open to “more perfect” ideas. From Pete Mattoon-You will need luck to make it but the good news is that you can make your own luck with the right team, extremely hard work, and actually having a product/service that creates value for your target market. Know your purpose. Know your target market. From Andy Putterman-Surround yourself with an advisory board to provide different perspectives, challenge assumptions and keeps you focused. From John Werner-You are building a company and also a team at the same time. Focus. Be passionate! From Tom Gavin-There is a fine line between confidence and hubris-believe in your vision and your plan but be open to making adjustments along the way. The flexible will always defeat the rigid! From Maliz Beams-Keep your investors, partners and employees (and yourself) looking forward with surgically precise focus and discipline on the “differentiated” value you deliver to the market. Very quickly find a way to fact base your differentiation. (Harder than it sounds) then ensure clinical objectivity and discipline around unbiased measurement. Quantify it, measure it, base the team’s payback on that differentiation. Read about KIPP Houston’s choice of Student Loan Genius to assist their recent graduates in reducing student loan debt. SLG-Debt studies Learn more about the debt burden being placed on students today. With a number of platforms that have been launched in the crowdsourced funding space, it’s great to see Netcapital get good coverage of their efforts. They show up well for a company that has been at their work for a relatively short time. Check out this article to learn more by clicking on their name. New tools including LifeYield’s suite will help Morgan Stanley advisors be able to help clients solve complex planning problems. They see it as a way to gain part of the $2 trillion in assets their clients hold outside the firm while serving their clients. Going from strength to strength in working with advisors, LifeYield has added LPL Financial with its over 14,000 advisors to it’s client list. 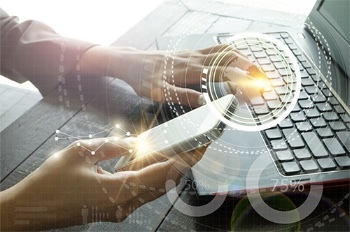 Micronotes, Inc., an AI-enabled marketing automation firm, took on the issue of how to think about regulation of FinTech capabilities including AI. Vestigo GP Mark Casady really enjoyed the conversation and questions.